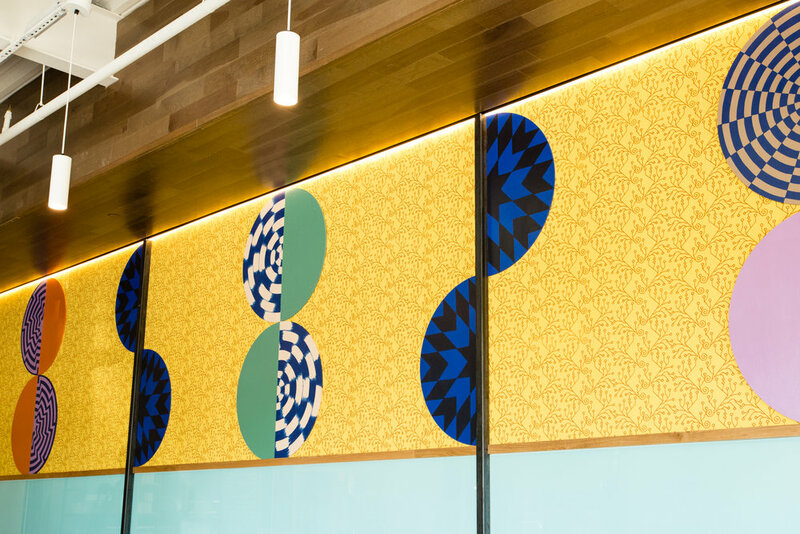 For local coffee company 8th & Roast, we installed custom art and wallpaper in the cafe and bathrooms. The wallpaper patterns and painted wood medallions are inspired by traditional craft motifs from the different growing regions represented by the brand. Vibrant colors and organic texture pair beautifully with the roastery's airy, minimalist interior.